Media entrepreneur-turned-investor Ronnie Screwvala’s Unilazer Ventures has invested Rs 24 crore ($3.5 million) in eyewear retailer Lenskart Solutions Pvt Ltd through a secondary transaction, a media report said. Unilazer purchased the additional stake from Lenskart co-founders Peyush Bansal and Amit Chaudhary, The Economic Times reported. Unilazer now holds a 19% stake in the company while Bansal and Chaudhary hold 20%. The deal was carried out at a valuation close to Rs 2,000 crore, the report said. “This round into Lenskart was secondary as it does not need any further funding all the way to IPO and so did not want to dilute anymore. 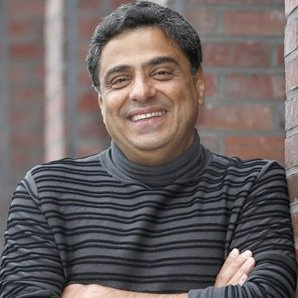 I wanted to double down on our stake as I work closely with Peyush,” Screwvala told ET. Phone calls to Lenskart confirming the development went unanswered at the time of filing this report. In September last year, Lenskart raised follow-on funding from PremjiInvest, the private investment arm of Wipro Ltd chairman Azim Premji. The company did not disclose the amount or valuation, but The Economic Times reported that Premji had subscribed to fresh shares worth Rs 65 crore in the company at a valuation of $270 million (Rs 1,800 crore). In May 2016, the company had raised Rs 400 crore ($60 million) in a Series D round from International Finance Corp, TPG Growth and other investors. The round also saw participation from Adveq Management, IDG Ventures, Tata Sons chairman emeritus Ratan Tata and Infosys co-founder Kris Gopalakrishnan. For FY2015-16, Lenskart’s net loss widened to Rs 113 crore as it spent more on advertising and promotions to generate sales. The company’s advertising expenditure grew 52% to Rs 58 crore, and its revenue jumped 63% to Rs 99 crore. Lenskart had posted a net loss of Rs 63.5 crore on total income of Rs 60.9 crore for 2014-15, according to VCCEdge, the data research platform of VCCircle, based on the company’s filings with the Registrar of Companies. Lenskart, which was started in 2008, is promoted by Bansal, Chaudhary, Neha Bansal and Sumeet Kapahi. Its wholesale entity is engaged in the assembly, wholesale distribution and supply of affordable eyewear products, including the merchandise for Lenskart.